Unlike the better-known Irish chronicles (such as the Annals of Ulster and the Annals of Tigernach) the text known as the Fragmentary Annals embellishes many of its year-entries with long passages of narrative saga. This is one reason why modern historians approach it warily. Another reason is its compiler’s obvious intent to write political propaganda for a particular dynasty, in this case the royal house of Ossory in south-east Ireland. The text of the Fragmentary Annals survives in a seventeenth-century manuscript but analysis has shown that it was originally compiled in the mid-eleventh century. The compiler used various older chronicles, supplementing their year-entries with narrative tales of uncertain provenance. Without any means of tracing the origin of most of these stories, we cannot assess their accuracy or reliability, nor can we measure their historical value. Such uncertainty makes the Fragmentary Annals a controversial source indeed – and also a frustrating one. Many of the narrative passages offer unique, tantalising details about important historical characters and real events, but the very uniqueness of the data reduces its credibility. The Viking-Age kingdom of Strathclyde appears twice. The first occurrence is slightly erroneous, because the context relates not to Strathclyde but to its predecessor Alt Clut. The event in question is the assault on Dumbarton Rock by a large force of Norse Vikings in 870. Although the eleventh-century compiler of the Fragmentary Annals knew of a kingdom called Srath Cluada in his own lifetime he seems to have been unaware that a political entity of this name did not emerge until after 870 when the royal dynasty of the Clyde Britons abandoned Dumbarton. 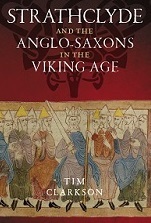 The annal for the Viking raid is shown below. This is a scanned image from the definitive 1978 edition by Joan Radner, where the English translation appears on the facing page. Numbers in bold typeface are from Radner’s own editorial notation. Again, the text and translation are from Radner’s edition. I have added square brackets to the date 914 because, as Radner herself points out, the section in which the alliance occurs is more likely to relate to 917 or 918. Did the alliance really happen, or was it a fictional detail added by the compiler? Opinions are divided on the issue, with some historians taking a firmly sceptical stance. Personally, I see no reason to reject the passage outright. An alliance with Alba and Strathclyde would have been consistent with Aethelflaed’s defensive strategy, which was concerned with the defence of her borders. From other sources we know that she was particularly anxious about the threat posed to north-west Mercia by Viking forces operating in the Irish Sea. We also know that her policies were looking northward at the time of her death in June 918, for Anglo-Danish Northumbria was on the point of pledging allegiance to her when she passed away. Perhaps their overtures of peace were prompted by news of her alliance with Alba and Strathclyde – a development that would have seemed profoundly worrying to the Northumbrian elite at York. 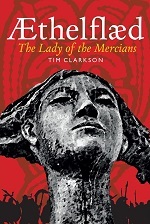 For more information on Aethelflaed, see my earlier blogpost. This entry was posted in Kings & queens, Primary sources, Research, Treaties & alliances, Warfare and tagged Aethelflaed, Alt Clut, Mercia, Strathclyde, Vikings on October 20, 2014 by Tim. Does anyone know where that well was? Does anyone have a theory as to why it might have dried up? The well is no doubt the one nestling in the gap between the two peaks of the Rock. In later times it was the main water source for the garrison of the Castle. It is now covered by the wellhouse which can be reached via a short flight of steps from the main path. Theories about the well drying up include sabotage by the Vikings or an unusually long period without rainfall.